ZIP - derives from English “zipper” or “zip fastener”. A data archiver that frees up space and stores important data. 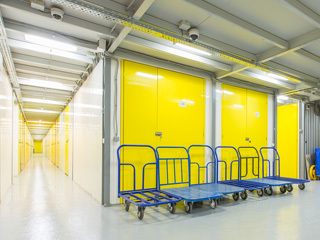 Our storage does the same but with tangible and corporeal objects — it frees up living space and keeps the property intact. 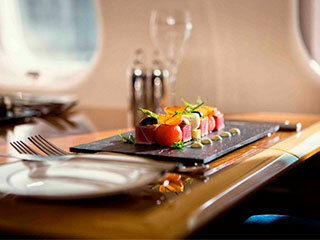 We deliver food in Astana and Almaty and we know how to treat even the most demanding customer. You will be surprised with our diversified menu: more than 200 items, including hot dishes, soups, salads and snacks, Japanese cuisine, breakfasts, desserts and craft drinks of the restaurant chain. Order food in Parmigiano twenty-four seven. You can get a detailed advice on delivery in our call center. We will deliver your order fast and hot, no matter how far you are. Parmigiano Group Delivery — food of restaurant quality at your home. We will hold a top-level event of any scale in the entourage that you need. 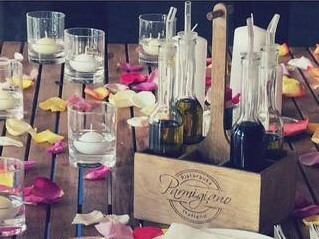 Drinks and buffet, romantic dinner, barbecue, coffee break, anniversary, children’s party — we have a wealth of experience in preparing and holding these and other events. We cook meals just like in the Parmigiano Group restaurants. Our decorators and florists will decorate any place of your meal - an office, a summer cottage, a forest fringe, a lake shore or a mountain top. If you are planning a concert or stage performance - we will provide technical support: arrange sound, light, assemble a stage and equipment. Mama’s is a fast-food chain. The Mama’s menu offers “fast” breakfasts and hearty dinners: panini, sandwiches, salads, soups, hot dishes, yogurts and soft drinks. Meals are cooked of natural products of excellent quality. Furthermore, Mama's is the first kitchen factory in Almaty, which will provide meals to the employees with delivery to the workplace. The Mama's menu is delicious and diverse, and the dishes in it do not repeat during a whole month. 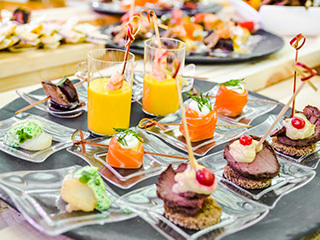 Mama's render services related to catering in the territory of enterprises with provision of the necessary process equipment, qualified service personnel and observance of all sanitary and hygienic requirements. 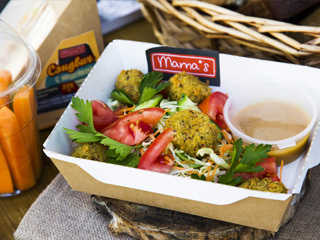 The Mama’s goal is to feed those who often have no time to have a bite, offering a good selection of tasty and healthy dishes that are easy to take out. S.N.e.G. is the highest mountain restaurant serving European cuisine with a spacious summer terrace and six cozy hotel rooms. We wanted to emphasize the elegance of simplicity in the concept of the building. The interior and furniture are made of natural wood. The main splendor is outside the windows of the restaurant and hotel rooms, and the S.N.E.G. 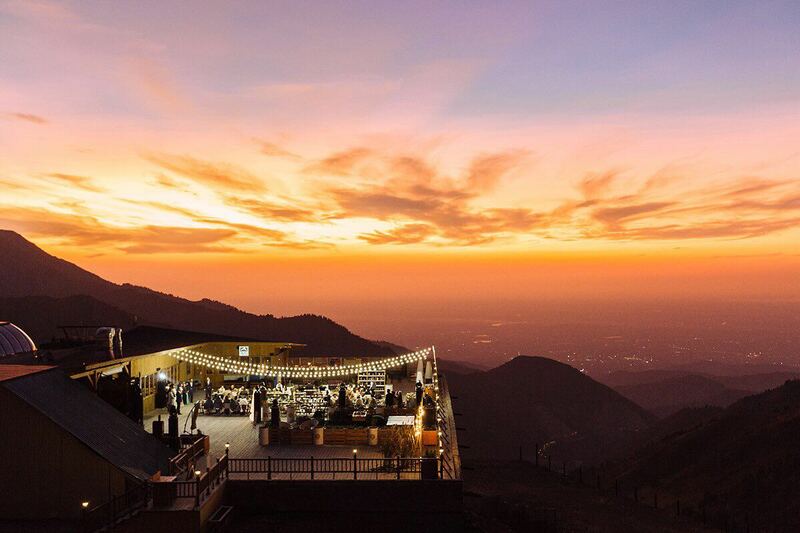 visitors admire the magnificence of the mountain scenery in a homely atmosphere of coziness. Parmigiano Group is among the leaders in the Kazakhstan market in the premium segment catering services. We have now expanded our services to include Business Aviation. For Parmigiano Group Catering Aviation project we provide 24/7 delivery of in-flight meals from the Olivier restaurant (Almaty and Astana) and other Group's restaurants. The packaging for all meals is specially adopted for in-flight catering to keep the meals compact and retain their flavors in the air. The SIMPLE&FRESH healthy food programs with daily delivery by the Parmigiano Group are established specifically for those who want to eat right and get real pleasure from eating without spending time cooking and choosing food. The SIMPLE&FRESH programs offer delicious and varied dishes with balanced calories, proteins, fats and carbohydrates. 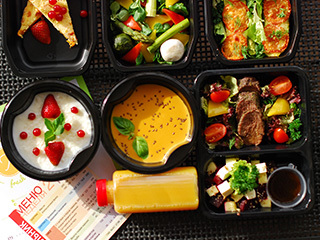 Every morning, at a time and place convenient for you, we will bring a SIMPLE&FRESH set of fresh, vacuum-packed, restaurant-style meals for your proper or dietetic nutrition. The personal concierge service reshim.kz will help you book a table in a restaurant or a hotel room, plan a trip, a romantic date or a meeting of business partners, choose gifts in advance for special occasions or organize an event. Nothing is impossible for us! 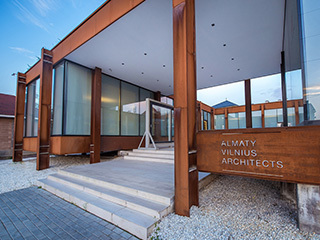 Almaty Vilnius Construction is an independent division that puts all AV-architects projects into action. Selects materials and negotiates with suppliers, finds the best engineering solutions and carries out the architectural supervision over the facilities in progress. Existence of man and nature. Almaty Vilnius Architects is an architectural bureau founded in 2010, which puts interesting, daring and unique projects into life — from the exclusive interior solution of the Ritz Carlton residence to the “City in the City” project covering 46 hectares. The key principle of all projects is the architecture for people principle, which ensures that all aesthetics and functionality are created for people and taking into account their needs. 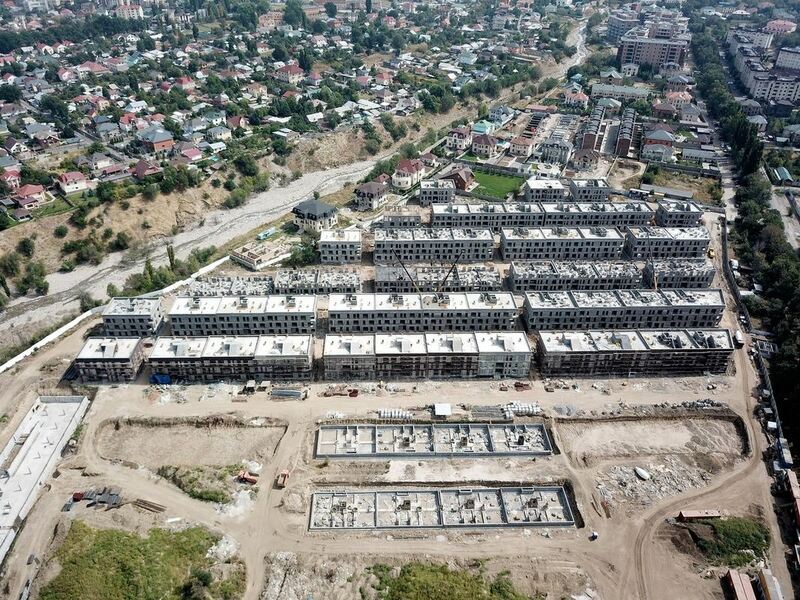 A large-scale project of Almaty Vilnius Architects — a low rise eco-district called Esentai City — is being constructed on 46 hectares in the foothills of Almaty: on the upper side of Al-Farabi Avenue, opposite Esentai Mall. Conceptually, Esentai City will have two districts with developed infrastructure — residential and commercial, with a large park area, where 4,000 trees will be planted. 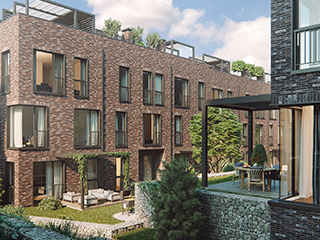 Three-story earthquake-resistant houses built of finnbloks will accommodate 1,570 apartments with floor area ranging from 93 to 138 m2, in the residential area we will erect 128 townhouses as well. There will be establishments available to the residents of the eco-district that are necessary to satisfy their daily needs: shops, restaurants, banks, pharmacies, a medical center, sports grounds. For small residents of Esentai City, two kindergartens will be provided. In the commercial development area, 46 office premises will be built. 5,710 parking spaces will be arranged along the entire perimeter of the district. The motto of Esentai City is “a city to live in”. Erecting buildings, we keep in mind the basic values — green focus, safety, health and comfort of residents. This is a complex of 43 townhouses designed in an elegant London style. Esentai River Townhouse is built in a pristine foothill area of Almaty, on the upper side of Al-Farabi Avenue. 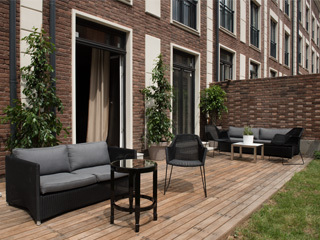 The townhouse comprises four floors with effective living area of 182 m2, a parking lot and an enclosed court of 30 m2. Creating Esentai River Townhouse, we strive to convey the London lifestyle, harmoniously combine the scale, details and design of the project. Building materials completely follow the original elements of London townhouses. We put a premium on safety and comfort of the residents of Esentai River Townhouse. The district will have 24-hour security, outdoor surveillance cameras, controlled-access entrance, a large playground for children. 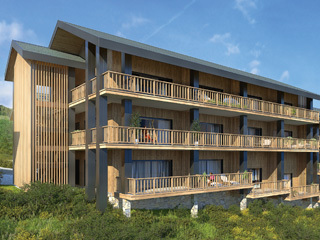 Ak Bulak Сhalet apartments is the first project of country residences designed in chalet style in Almaty. Ten three-story houses encompassing apartments with floor area ranging from 66 to 134 m2, located in the Talgar Gorge, 500 meters away from the Ak Bulak ski resort. This is an amazing place, one of the most beautiful in the vicinity of Almaty. We wanted to embody the cozy style of the alpine chalets in the Ak Bulak project. Both the appearance of the houses and their interior reflect the spirit of the surrounding landscape inviting to have a leisured and unhurried rest. Live in the environment of the pristine nature of Zailiysky Alatau in a district with developed infrastructure designed for recreation and entertainment.